The elves at Wrapped Up N U were delighted to work with Lugz this year on our holiday gift guide. Lugz offers a wide range of footwear for the entire family. 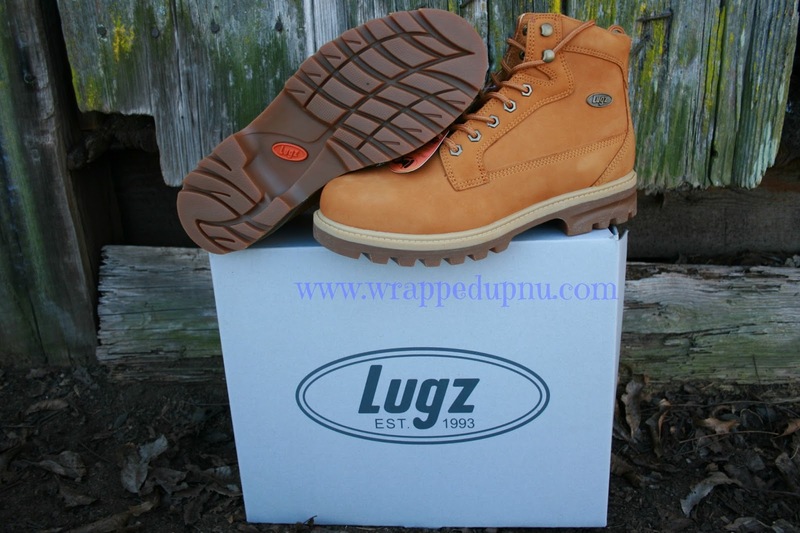 Lugz offers have been offering high quaily products since 1993 in the latest styles that are all the rage. We let our oldest elf pick out the shoes for this review. After some time of looking, he picked out the BRIGADE HI. He was so excited when they arrived and I have to say so was I. There is just something about the smell of the leather when you open the box. The shoes look very rugged, but boy are they comfortable. I will admit after checking out the inside lining and memory foam, I kinda wish I would have ordered these in a style for me. They have a solid feel like they conform and were made just for your feet. They are easy to clean with just a damp cloth. These are boots that will carry over from season to season and never go out of style. These boots can go from casual blue jeans to formal dress without missing a beat. You really can't go wrong with these shoes no matter what style you choice. We love this brand and think Santa would agree! Do you wanna hear the best news? Lugz has agreed to give 1 lucky winner a pair of BRIGADE HI too! Contemporary design coupled with extreme comfort, the Brigade Hi has a full grain nubuck leather upper, thinsulate lining and a flexastride memory foam insole cushioned insole to keep your feet warm and comfortable.